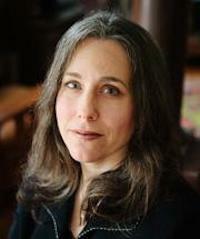 Free Speech For People is thrilled to welcome Professor Jennifer Taub to our Board of Directors! Jennifer Taub is a Professor of Law at Vermont Law School, where she teaches courses in contracts, corporations, securities regulation, and white collar crime. She is the author of the book Other People’s Houses: How Decades of Bailouts, Captive Regulators, and Toxic Bankers Made Home Mortgages a Thrilling Business, published in May 2014 by Yale University Press. The book explores the 2008 financial crisis and the role of government officials in helping bankers inflate and contribute to the toxic housing bubble. Professor Taub is also the co-author of the book, Corporate and White Collar Crime, Cases and Materials, 6th ed., published in 2017 by Wolters Kluwer. In addition, she has written extensively for scholarly publications and for national media outlets. Further, Professor Taub has served as an expert legal analyst on CNN and has been interviewed by The New York Times, The Washington Post, ABC, NBC, and CBSMoneyWatch, among many other media sources. Professor Taub recently joined Free Speech For People at a National Press Club event, co-hosted by Tom Steyer and Need to Impeach, as a featured speaker to discuss the legal case for launching an impeachment investigation of President Donald Trump. To watch the video of the event on C-SPAN, click here. Professor Taub also serves on the Legal Advisory Board of our campaign calling for an impeachment investigation. We greatly appreciate the legal expertise, leadership, and dedication to fighting for the basic principles of our democracy that Professor Taub brings to Free Speech For People. To learn more about Free Speech For People’s Board of Directors, click here.